I realize I am a week late writing about Easter, but that’s how my timing works. 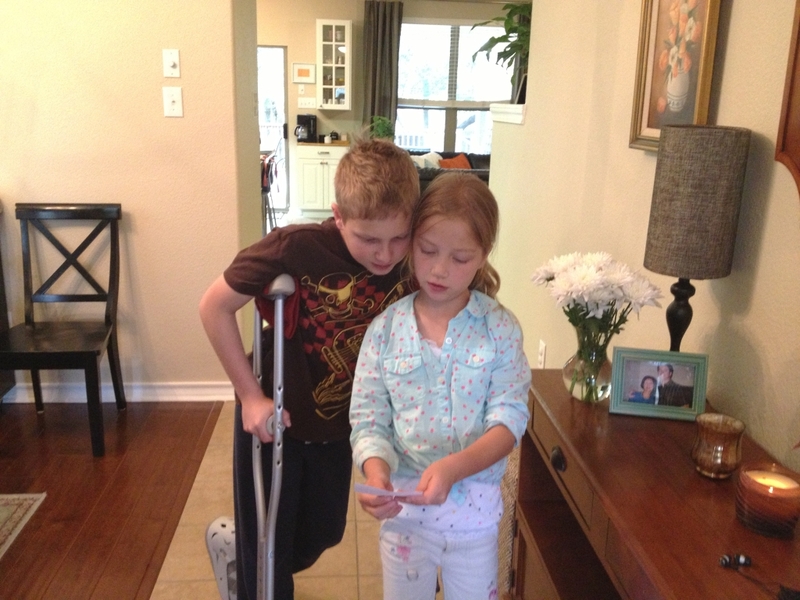 The past week was packed with kids activities and catching up on chores and errands– our normal rhythm these days. The daily life pressures and rewards augmented what truly is important: I just don’t have time and energy for anything that requires going through the motions. In that spirit, I really wanted to step away from our typical go-through-the-motions way to celebrate Easter, which used to include dying some eggs with a store-bought kit, and having an egg-hunt in the backyard (recycling the 100+ plastic eggs every year). All the egg stuffing and unstuffing just didn’t sound appealing anymore. 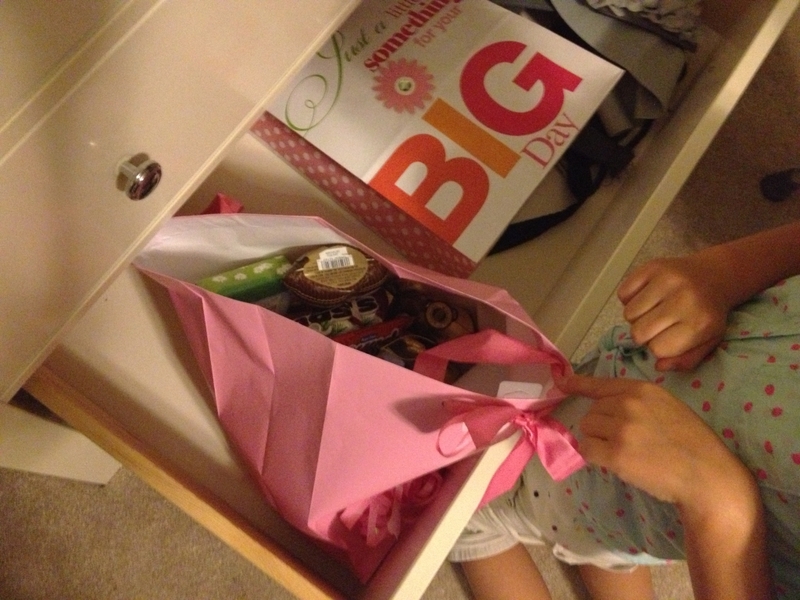 I still wanted the kids to have fun: the thrill of looking for treats, and, of course, the treats themselves. So, I decided to re-package the fun in the shape of a Easter treasure hunt. I wanted to keep it very simple and used what I had on hand for the supplies. I did buy a small gift for each child (lip gloss, sticker book, collectable cards, a book) and some sweets for them to share. 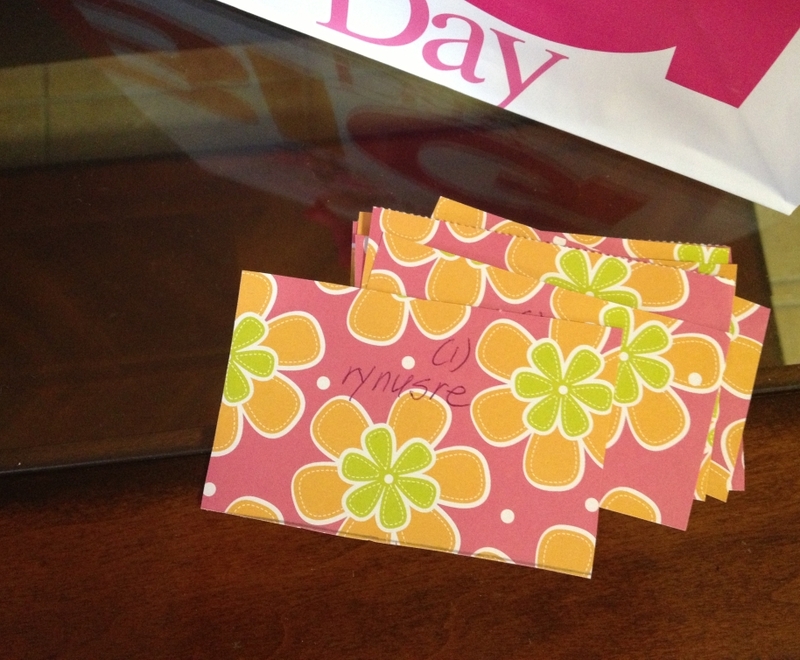 Then I hid “the treasure” inside the house, and made several cards with clues leading to it. The clues were “scrambled” names of the rooms that they had to go to and look for the next clue. Once they found the card with the clue, they had to “unscramble” the word and find out which room to go to next. I put a number next to the clue indicating how many words were in the clue: 1 for “kitchen”, 2 for “dining room”, etc. I must say it didn’t take them long to find and unscramble all the clues. Next time I might make more elaborate clues, but this simple treasure hunt worked fine this year. Egg dying is a favorite tradition as well. Again, we went with what we had on hand. The kids were fascinated with watching how natural dyes worked. 1. Add dye to a 2 quart pot filled with water. 2. Put 3-4 eggs in each pot, cover, simmer for 15-20 minutes. 3. Let sit in the water until cool. For the dye we used skins for two large onions, 1 tablespoon of ground turmeric, and 1 beet cut into small chunks. 1. Each person grabs an egg. 2. Holding an egg firmly in your hand, smack the egg in another person’s hand. The egg that cracked is out of the game. 3. The surviving egg continues to smack other people’s eggs until it cracks. Then the egg that cracked it and remained whole takes the lead. 4. The egg that survived the round of smacking is announced a winner. I like seeing the kids enjoying our family traditions. They look forward to such special moments, and remember funny stories from the years past. Do you have special Easter traditions? I’d love to hear about them! 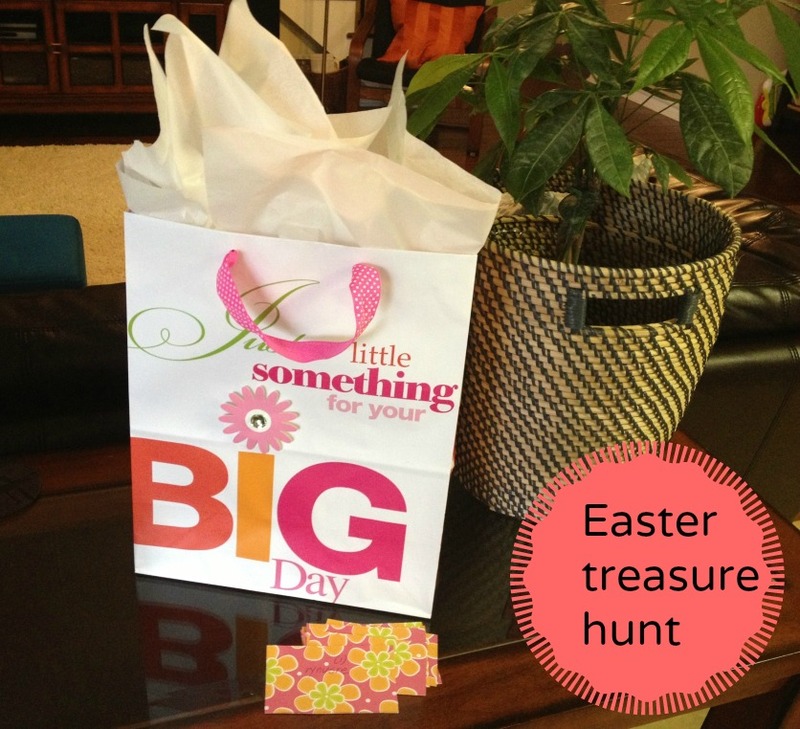 My kids LOVE treasure hunts, what a great idea for Easter. 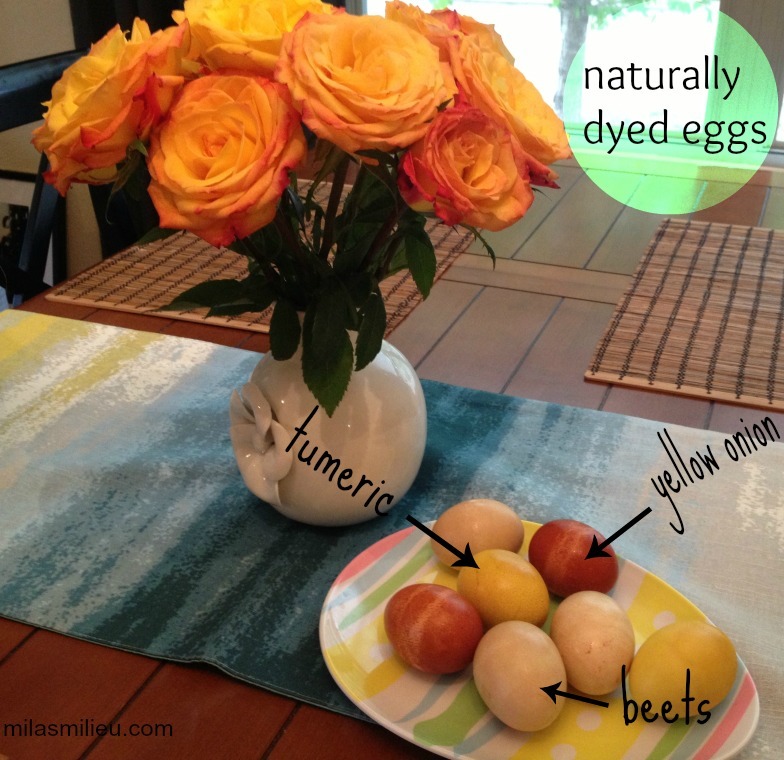 And I think that is so cool that you used natural dyes to color the eggs. I had never thought to do that. Our Easter was not the usual since we were traveling but we usually like to keep it simple and fun! Yes, I remember you mentioned you guys did a treasure hunt for St. Patrick’s Day. Kids are so into the thrill of “hunting”, it is fun for everyone. Have a great week, Morgan!